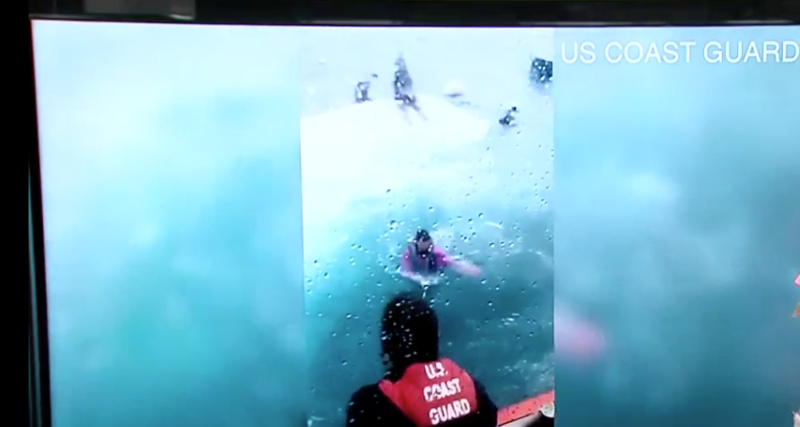 A 9-1-1 call came in around 1:30 Sunday afternoon from 5 people who were on a boat that had capsized about 8 miles off the St. Lucie County shoreline. The Coast Guard deployed a helicopter and a 45-foot response vessel. When they arrived, the rescue crew discovered the boaters had done the two most important things they always stress. First, they all had lifejackets on, and they stayed with the boat.